At DiNinno Family Dental, we are general dentists with advanced training in conventional orthodontics as well as being Preferred Providers of Invisalign. This means you will be treated by a doctor with years of experience providing Invisalign treatment. Combine this with our knowledge and experience of treating conventional orthodontic cases and providing Cosmetic Dentistry and we are able to visualize and provide any needed cosmetic care once the Invisalign treatment is complete to further enhance your new smile. Our state of the art technology, faster appointments and a beautiful boutique atmosphere are designed to make you love not only your perfect new smile, but love the experience as well. Most people know that Invisalign is a near-invisible orthodontic alternative to wire braces, but there are some hidden advantages of the 21st century miracle. The Invisalign process uses 3-D Scanning Technology to assess treatment needs and create an entire set of custom aligners at once. The final smile is visualized from the start and no surprises. Aligners are made from medical grade polyurethane resin (not plastic, which isn’t strong or safe enough). No need to worry about sores from brackets rubbing against delicate oral tissue or broken wires leading to an orthodontic emergency. Since you need to take the aligners out and brush after eating or having sugary drinks, you will realize just how often you snack. And since food can make the aligners dirty and soft drinks can seep inside and cause decay, you will develop healthier eating habits resulting in improved oral health and overall wellness from the need to pay close attention to daily habits. Yes, teeth are moving and can feel sore, especially after getting new trays, but largely are not anywhere near as painful as traditional braces can be. Over the counter pain medications such as ibuprofen will lessen the discomfort. Fewer office visits, less time sitting in the “dentist chair” and fewer food restrictions will result in a much easier experience than braces. You will be able to remove the trays for special events (like a wedding). These are benefits just during treatment. 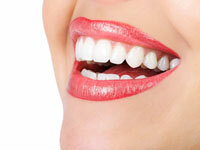 The greatest benefit is all the years to come living with a beautiful and healthy smile. We have tried to make Invisalign affordable for anyone. Treatment costs can vary by the case. However, you will know your exact cost at your complimentary thirty-minute consultation. There are no hidden fees at our office. The fee quoted to you during your consultation will be the fee for the entire treatment. Your x-rays, ClinCheck, aligners, final retainers, and all supplies needed are included. We even include complimentary at home ZOOM whitening in our fee. Treatment starts for as little as $75 per month and we will be happy to submit to your insurance company for reimbursement. You can use your company’s HSA/FSA when eligible. To discuss clear braces in the Fitchburg MA area, please feel free to contact us to schedule your complimentary consultation and 3D Scan. For teenagers and adults, Invisalign uses a series of invisible, removable, and comfortable aligners; and no one can tell they are in your mouth. Your speech, smile, having pictures taken, and the like, activities are not affected. If you would like more information about Invisalign or to schedule an appointment with Drs. DiNinno, call our office in Fitchburg at DiNinno Family Dental Phone Number 978-342-8710. Treatment fees can only be determined after your doctor evaluation. It is typically in the same range as ordinary metal braces. First impressions last. Don’t let crooked teeth hold you back. Invisalign has treated over 1,300,000 people who chose to have an amazing smile.